Mathematics embraces a wide range of inter-related activities. It is concerned with the organisation, manipulation and communication of information according to well-defined rules and processes. Everyone will appreciate that these include an understanding of number and measurement and their use in many walks of life. Why do we teach Mathematics? Mathematics can be a stimulating, challenging and enjoyable experience. It gives pupils the opportunity to “get the right answer” and such mastery of a subject results in enjoyment. If this reason for studying Mathematics is to be fulfilled, then the “can’t do” attitude to Mathematics must be challenged. Work in many other subjects involves mathematical activities. Such activities include: number and algebra (science), measures (science and home economics), geometry (home economics, art and design, technology and geography) and statistics (geography, biology and history). If pupils can see why certain aspects of Mathematics should be learnt this will provide motivation and encouragement. A facility in Mathematics is necessary in managing budgets, DIY tasks, understanding statistical and graphical data and many other aspects of life in the home or in adulthood. 4. It can contribute significantly to the development of pupils’ general skills and qualities such as communication, reasoning, problem solving, perseverance and creativity. It is a vehicle for development of general “skills” and personal qualities. How do we believe Mathematics should be taught? Mathematics embraces a wide range of inter-related activities. It is concerned with the organization, manipulation and communication of information according to well defined rules and processes. Financial capability is now established within the curriculum. This enables pupils to make informed judgments which enable them to take effective decisions regarding the management of money in their present and adult life. A test will be completed during every half-term, comprising of 3 or 4 topics. A formal homework will be set and marked by the teacher in each fortnightly cycle. Other homework, including learning Mathematical facts, may be set when appropriate. Each pupil will be issued with a red notebook for their class notes. Pupils should write all key words in red and underline titles. The rest of the notes should be recorded with blue or black pen and all diagrams should be completed neatly using a pencil and a ruler. The contents page which includes all the topics studied during the year should also be kept up-to-date. Where appropriate staff will provide students with handouts to supplement notes. 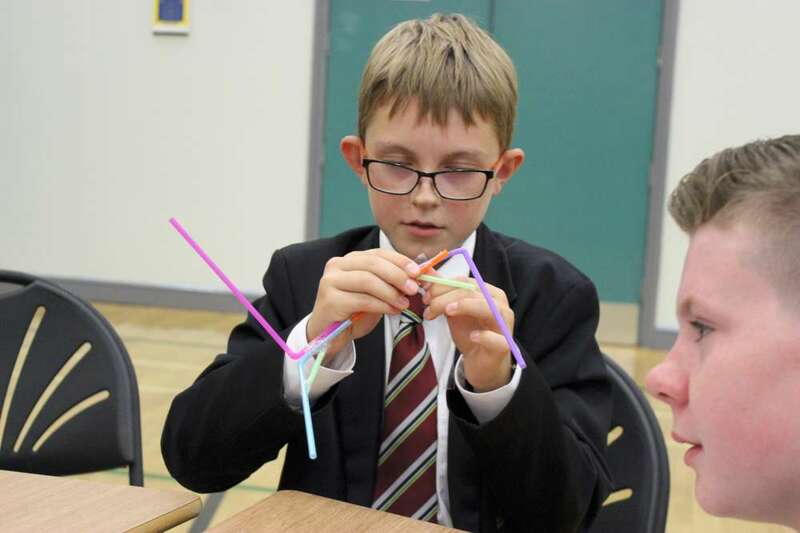 On the first day back to school Year 9 form classes took part in a STEM event. The aim was to inform students of the opportunities available through STEM, particularly in Engineering. 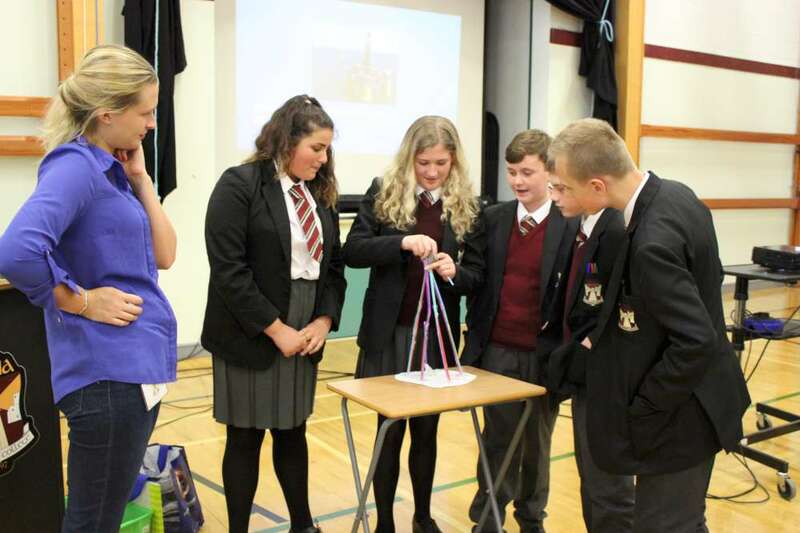 Two STEM ambassadors visited the school – one a Mechanical Engineer the other a Civil Engineer. They spoke to the pupils for a short time about their jobs and the importance of STEM subjects. They showed the students some pictures of exciting projects they were involved in. The pupils were then given the task of building an oil rig which could support a 200g weight. The only materials made available to the students were paper, straws and sellotape. The pupils really enjoyed this hands-on engineering experience. 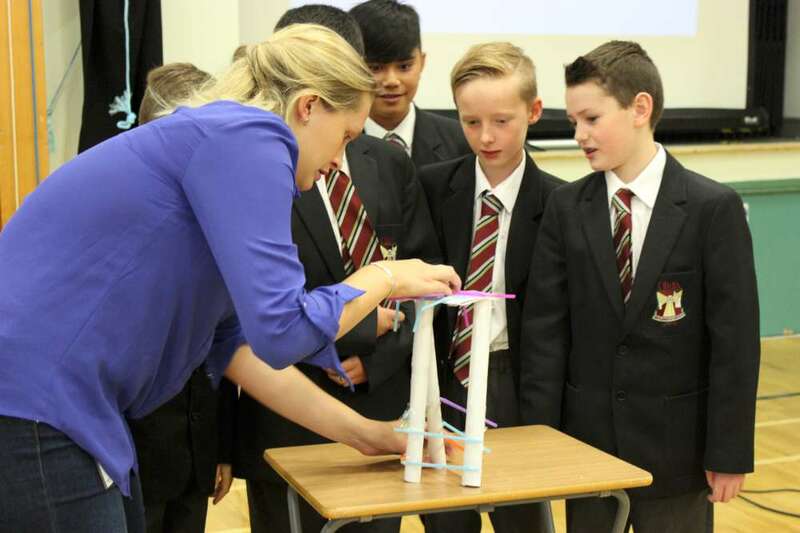 The ambassadors were impressed with the pupils’ different ideas and that many of the structures could support the weight. • We follow the CCEA syllabus. • At the end of Year 11 pupils will either sit the T2 (Foundation) or T3 (Higher) module, worth 45%. • In January of Year 12 pupils will have an opportunity to sit a higher module if appropriate, either T3 or T4. • At the end of Year 12 all pupils will either sit the T5 (Foundation) or T6 (Higher) module, worth 55%. • In June 2016 the first 2 pupils sat Further Mathematics GCSE, 1 obtaining grade A, the other A*. 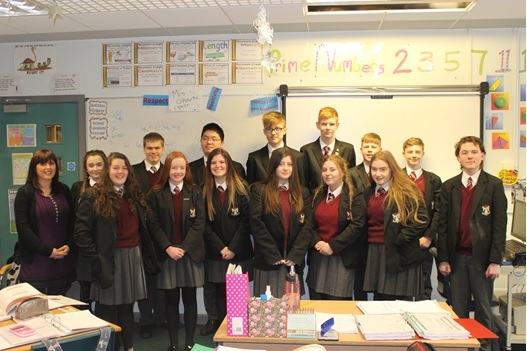 • There are currently 6 pupils in Year 12 and 14 in Year 11 studying Further Mathematics for GCSE. • This GCSE will again be offered as an option to current Year 10 pupils. • In June 2016 the department obtained 100% grade C or above. • With growing numbers studying GCSE Further Mathematics, A level Mathematics will again be offered as an option. Pupils from Year 11 and 12 Higher Maths classes, and a selection of Year 10 pupils will attend this event. The careers represented will include Finance, IT and Data Analysis. Visitors will inform students of some of the Mathematics involved in their jobs as well as the skills required in their field.